Each Chewie-Gel™ provides ultra-pure, cold-extracted, highly stable DHA. 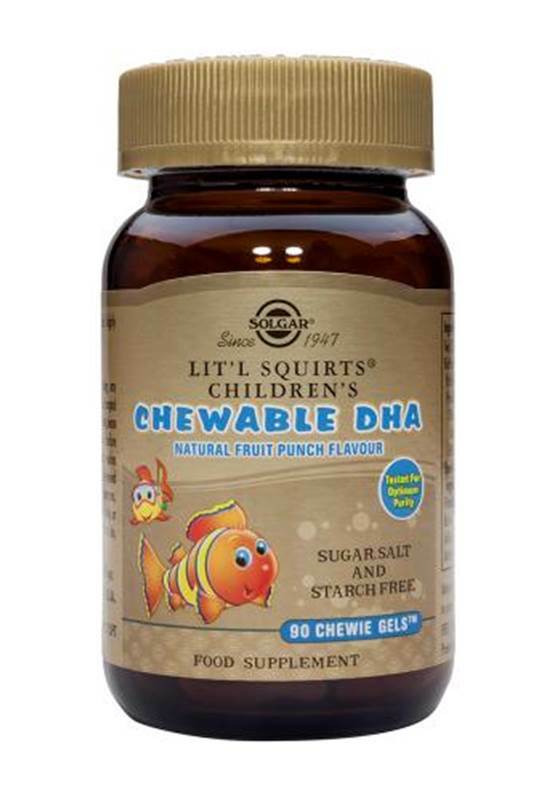 SUGGESTED USE: As a food supplement for children 4 years of age and older, chew two (2) Chewie-Gels™ daily, preferably at mealtime, or as directed by a healthcare practitioner. Chew Chewie-Gels™ thoroughly. Do not exceed directions for use. If you are pregnant, nursing, taking any medication or have a medical condition, please consult your healthcare practitioner before taking this product. Natural ingredients may exhibit variations in colour. Not formulated for children under 4 years of age. Keep out of reach of children. BioPure DHA™ is a trademark of Bioriginal Food & Science Corporation. 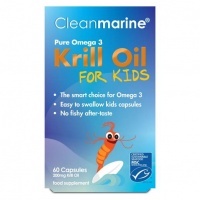 Pure Omega Oil for children. 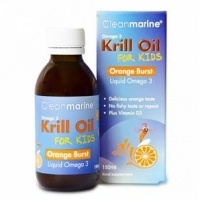 The easiest way for Children to enjoy the powerful benefits of Krill Oil - a delicious natural Orange flavour, with no fishyness and zero aftertaste!